Cannabidiols (CBDs) have been dominating food and supplement industry news headlines of late, whether from a legalization standpoint or because of the purported benefits. But what exactly is the compliance status in Canada, the United States (US), and the European Union (EU) when it comes to food and supplements containing CBD? Whilst the broader trend in the legalization of medicinal use of Cannabis sativa products across the world continues at an increasing pace, there has been a parallel proliferation of interest in CBD-containing dietary supplement products that have differing levels of regulatory certainty. What we are seeing from many in the supplement industry is that they believe that these products can be presented as supplements to the diet rather than medicines (with and without a range of claims) and that they believe they have a safe history of use. What is clear from the regulatory authorities in these jurisdictions is that the confidence in these products' compliance is often misplaced. Thus, we think now is a good time for a quick summary of where the regulatory requirements stand in Canada, the US and the EU. In Canada, dietary supplements, or "natural health products" (NHPs) as they are known, are regulated as a subset of drugs under the Food & Drugs Act. Even though this is the case, no changes to the NHP Regulations have yet been made with respect to allowing cannabis or concentrated CBD products into NHPs and currently they are simply not permitted. However, the Natural and Non-prescription Health Products Directorate (NNHPD) has indicated that concentrated CBD may possibly be permitted in NHPs at some undefined time in the future. So, keep an eye on that one! If it does change, then licence applications will have to be made demonstrating safety and efficacy on a case-by-case basis. What claims will be permitted will be dependent on the scientific evidence and this remains to be seen. In the US, the Food & Drug Administration (FDA) has a firm stance on CBD and has repeatedly indicated that it is not permitted in dietary supplements, and any dietary supplements containing CBD that are currently on the market are therefore classified as illegal. The US FDA has stated that they are aware of the growing public interest in cannabis and cannabis-derived products, including CBD, but have not yet made an official statement to change their compliance status, and enforcement stance. In the EU, the Commission and Member States have recently re-confirmed that CBD products are Novel Foods (if they are presented as foods), and we have received a flood of inquiries for clarification. Although there has been extensive ongoing dialogue between the Commission and Member States and industry, what is clear is that, whilst hemp seed oil is not novel, selectively enriching it with CBD, which has not been permitted as a Novel Food, would be illegal. To be clear, hemp oil from the seed contains a tiny amount of CBD, although the plant itself contains more. What also is apparent from the current situation and the general way the Commission and Member States regulate Novel Foods, is that selective concentration of bioactives from a plant can make it a Novel Food ingredient. In fact, one Novel Food submission for (-)-trans-cannabidiol has been submitted under this approach, based on published data, more than a year ago, and it is our understanding that it is still under review and pending approval. What this tells us is that well-presented submissions with sound scientific data must be submitted to the European Food Safety Authority (EFSA) before CBD is approved and this process may take at least 18 months. Of course, for those that conduct their own scientific studies there is the opportunity of five-year exclusivity of approval. The same five-year exclusivity is possible for health claims submissions. Currently no claims can be made for CBD even if it were approved and again EFSA has to be satisfied of the scientific validity of the claims. Indeed, claims are probably the key issue, because even if a Novel Food ingredient approval is complete, Member States regulate products containing them. So, they can still fall under regulatory scrutiny unless you have a nutritional or physiological reason for adding them. Put simply, if you sell a food for pain relief, without a scientific rationale that it's acting in a food-like manner, it will face regulatory scrutiny one way or another! In summary, there is much to be learned and certainly interesting times ahead for parties seeking to introduce new CBD-containing products into this space. Although in some cases the regulatory landscape is still in flux, Intertek's Food & Nutrition Assurance experts specialize in developing and implementing such global regulatory strategies and scientific submissions. We can help clients navigate the above compliance issues in order to gain proper access to global markets in an efficient manner. We can also support the full range of nutrition, risk assessment, and food safety compliance requirements. Please feel free to contact us directly with any questions or comments: food.sci-reg@intertek.com. Disclaimer: The foregoing does not constitute legal or regulatory advice and the reader should seek professional guidance for their specific requirements and conditions. Please contact our expert compliance team for further assistance in this regard. 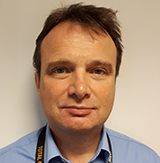 Today's expert blogger is Nigel Baldwin, an accomplished Scientific & Regulatory Consultant within Intertek Scientific & Regulatory Consultancy. He is a recognized expert in the area of novel foods and food supplements in Europe with extensive practical insight into the areas of food and feed additives, food enzymes, infant formula, functional foods and health claims. As Director of the Food & Nutrition Team in Europe, he has been providing invaluable expertise to international companies seeking to develop and implement strategies for gaining approvals for new products and health claims. Nigel has worked on more than 30 successful regulatory approvals world-wide.